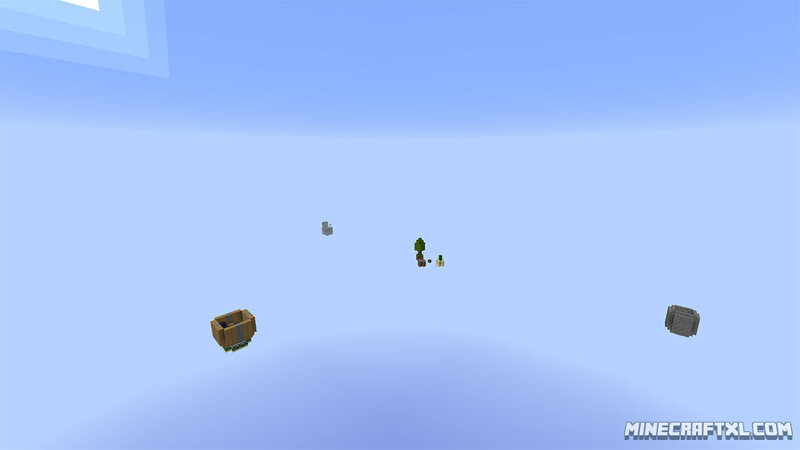 The One-Block Survival Map for Minecraft is a pretty interesting map, in that you start out on a piece of bedrock, and from there on, must try to survive. Don’t fret though, as it should be called “One-Block”, the bedrock block is not the only thing in this world. Right next to you on your little block of bedrock is a island with trees, and one with mushrooms, so you have something to work with. In the distance you will also see several different islands which you must strive to reach, all with different purposes. Getting to them won’t be easy though, and you will have to think outside the box (or block, hah!) to get there. The One-Block Survival Map poses some very interesting challenges and it is a lot of fun trying to get away and move on. 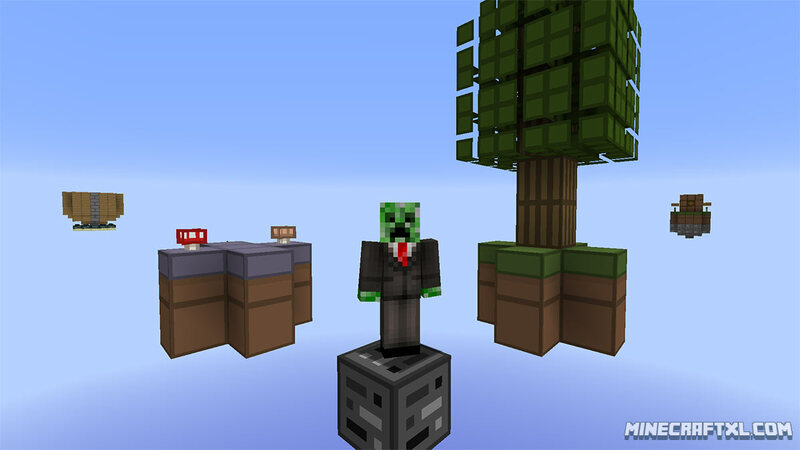 You are “allowed” to use whatever mods you desire in this map, although the creator recommends just playing it in vanilla Minecraft. the oCd Resource Pack is also recommended by the creator, and it gives the map a very interesting look and aesthetic, so I recommend it too, you can see how it looks in the screenshots. As with most other survival-based maps, The One-Block Survival Map features some challenges that you are supposed to complete, in order to “win” the map. Make your way to the distant islands. Create a working tree farm. 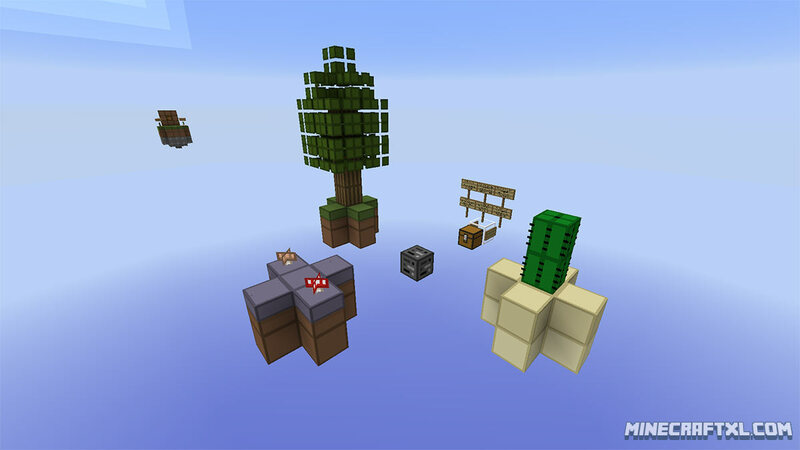 Create a working cactus farm. Create a working mushroom farm. Get a wheat farm going. Build yourself a house and make it your home! As you can see, this map hasn’t gone totally overboard with the challenges, and most should be able to be overcome. 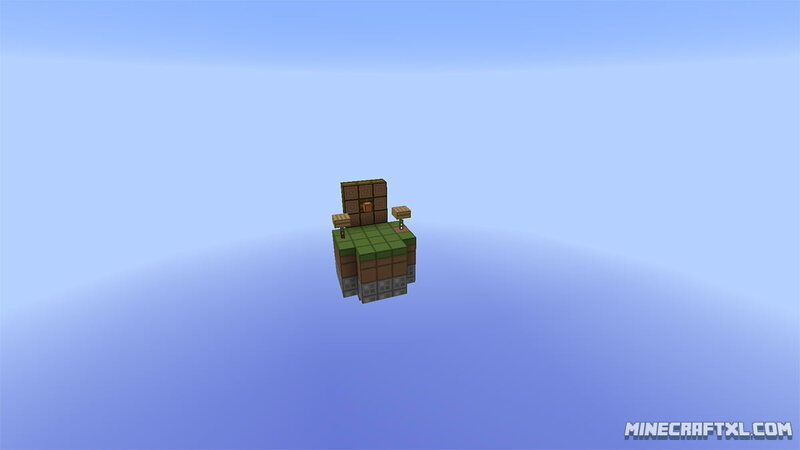 You can also reach the End in this map, so killing the Ender Dragon is definitively a possibility! Reaching the Nether is also possible, but you should complete 8 challenges before you venture there. Done! Get going, get surviving, and try to win!